The focal point of Jodhpur is the iconic Mehrangarh Fort, with the Old City at its base. Newer areas have long since grown around the ancient fort walls but the town as a whole retains its local flavor with near-uniform, pink stone constructions dotting the cityscape. Dubbed the Blue City, Jodhpur’s old quarter painted indigo introduces you to the town’s medieval past. 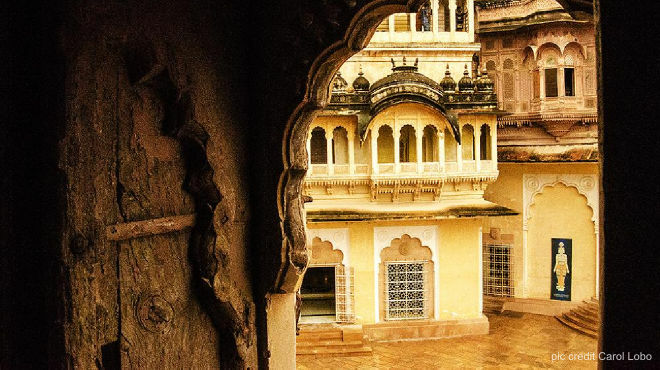 Jodhpur is located in the geographical heart of Rajasthan and is an apt destination from which to travel to other cities – Jaipur is 300 km to the east, Jaisalmer 300 km to the west and Udaipur 260 km to the south. Throbbing with life all year round and marching to the beats of many festivals, Jodhpur is a great place to start your Rajasthan Odyssey.